Flamenco is an exciting art form made up of music, song and dance from the south of Spain. The members of Flamenco Pacifico have extensive experience with teaching not only the music but also the historical and cultural elements of the art through lecture/demos. They have done this at several levels, from grade schools to universities to the general public. In their lecture/demos, they explain where flamenco came from, demonstrate how it sounds, and teach the elements that are at the heart of the art form. Flamenco is an interactive art where the audience gets involved, and the lecture/demos take full advantage of this. Audiences will hear and learn the different rhythms that are at the heart of flamenco, clapping along as the ensemble plays and sings. These rhythms are the gateway to understanding rhythms from around the world! The lecture/demos also explore the songs of flamenco, what they mean, and how they are at the center of the art form. The audience can sing fun refrains with the performers and learn basic dance steps and arm work that the dancers use to express themselves so passionately. 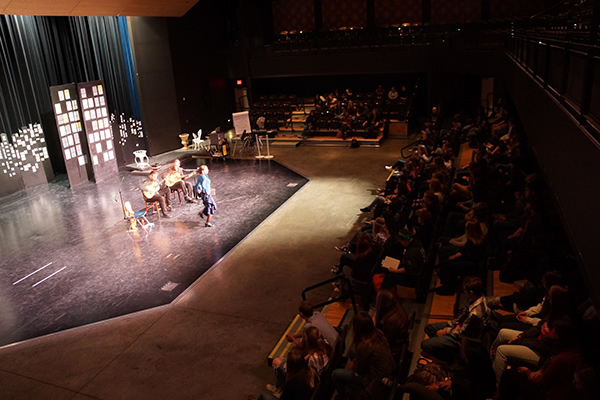 Along with a sampling of culture and history, the audience will get to learn some Spanish, including how to yell out encouragement flamenco-style: "!Ol�!" �	16 channel mixing console with house mix and separate monitor mixes. �	Wood surface for Flamenco dancer. (8'x8') minimum size wooden dance floor (12'x16' preferred)If floor is not available, performers can possibly provide a small 8'x8' floor. �	Performers must be in shade if the venue is outdoors. Guitars cannot be in direct sunlight. �	Hall Reverb is required and must be present in both monitors and house. �	24 channel mixing console with house mix and separate monitor mixes. Flamenco Pacifico will supply their own Guitars, Percussion, and Bass Amp Head. � 24 channel mixing console with house mix and separate monitor mixes. Hall Reverb is required and must be present in both monitors and house. If the venue is unable to provide any of the equipment above, please contact Berto Boyd bertoflamenco@gmail.com so we can coordinate other arrangements. Flamenco is a living culture, steeped in history, with many roots and branches. Flamenco Pacifico seeks to present flamenco as a cultural event and an art form that invites creative innovation. In addition to their performances, the group offers educational lectures and demos that involve the audience and place flamenco in its compelling historical and cultural context, lending deeper meaning to the experience they share with the public. True to the spirit of flamenco, Flamenco Pacifico�s name reflects both geographical place and the idea that flamenco is expansive and inclusive enough to absorb the personal experiences and backgrounds of anyone who wants to participate in the art form. 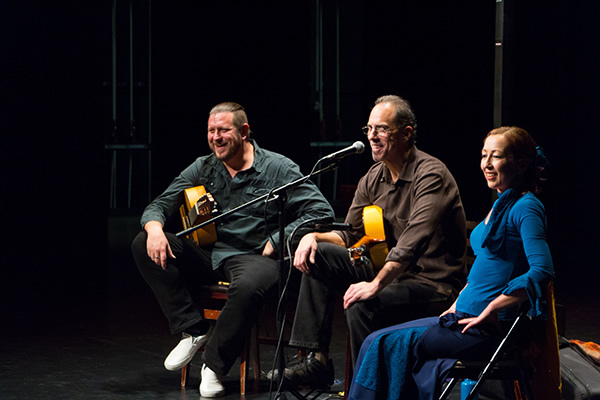 With collective musical influences as diverse as Brazilian jazz, Classical, and Middle Eastern music, Flamenco Pacifico offers their unique version of modern flamenco with a world orientation. What also sets this group apart artistically is that their music is based around melodic themes�both in Berto Boyd�s original compositions and in the group�s arrangements of traditional pieces. These thematic elements function as landmarks on the listener�s journey through a musical landscape that can be haunting and deeply moving, due in no small part to the spinetingling duende, or trance-like spirit unleashed by the music. The festive strains of many of Boyd�s lighter, or chico, compositions also assure that even after the last chords of the guitar have faded, audiences will walk away from the performance with an infectious melody in their ears. 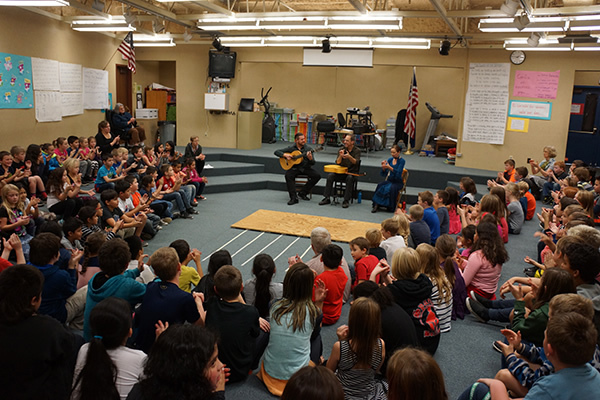 Flamenco Pacifico has performed in a variety of venues� from intimate house concerts to major festivals such as The Britt Festival (Jacksonville, OR) and The Oregon Shakespeare Festival�s popular Green Show (Ashland, OR). They are available for public and private events, festivals and educational lectures and demonstrations. Based in the majestic state of Oregon, Flamenco Pacifico is a dynamic, professional performance group dedicated to bringing the art of flamenco music and dance to audiences in the Pacific Northwest and beyond. 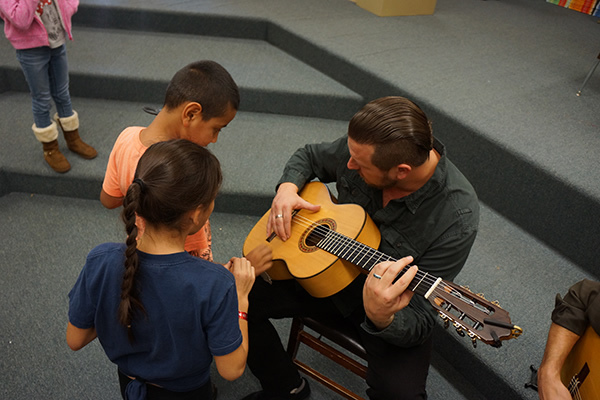 Led by virtuoso flamenco guitarist and composer, Berto Boyd, the group�s guitar-driven performances feature original modern flamenco compositions rooted in the time-honored forms of traditional flamenco. With the passionate vocals and guitar artistry of guitarist/singer Grant Ruiz, Flamenco Pacifico takes audiences on an unforgettable journey into the fascinating world of flamenco. The ensemble can take many forms, from the duet of Boyd and Ruiz to a quintet comprising guitar, percussion, bass, dance, and song.